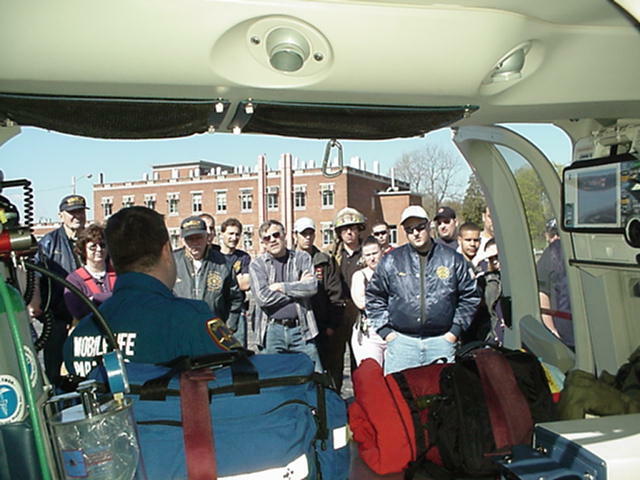 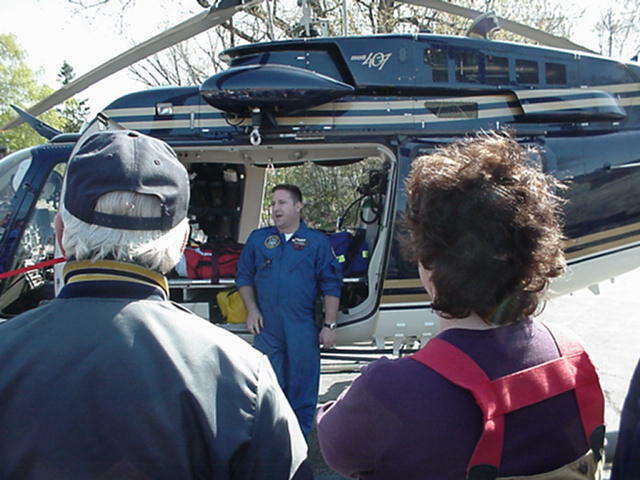 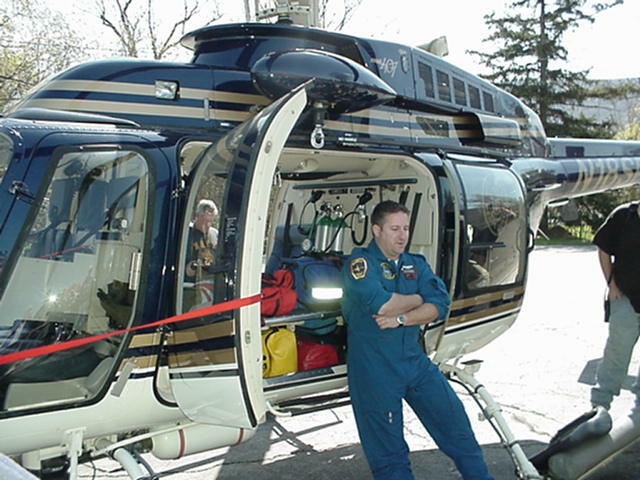 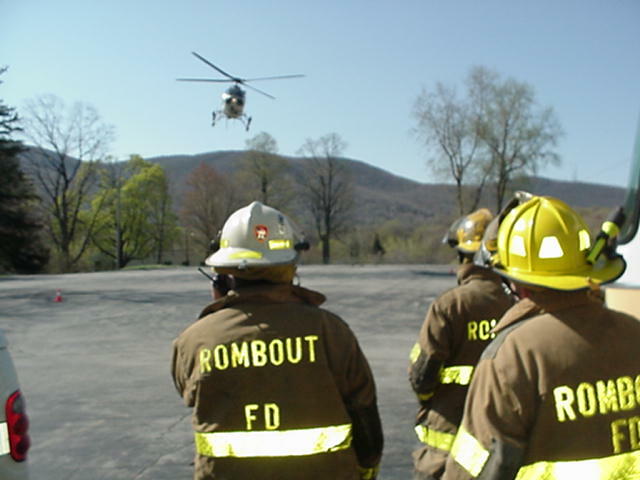 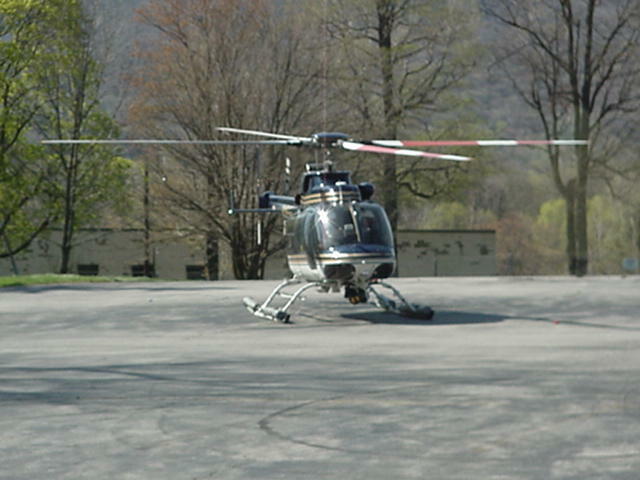 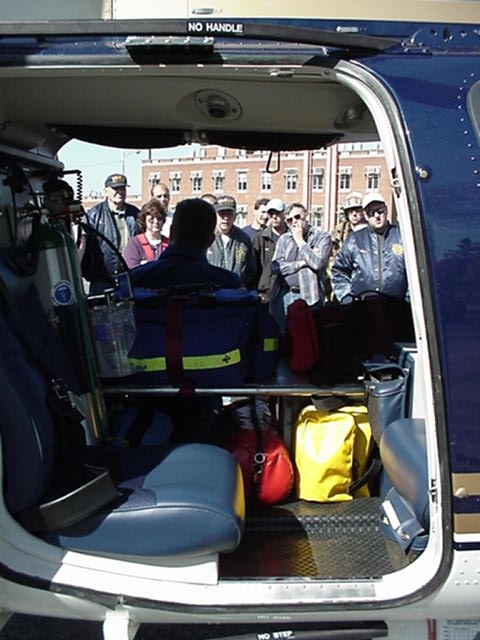 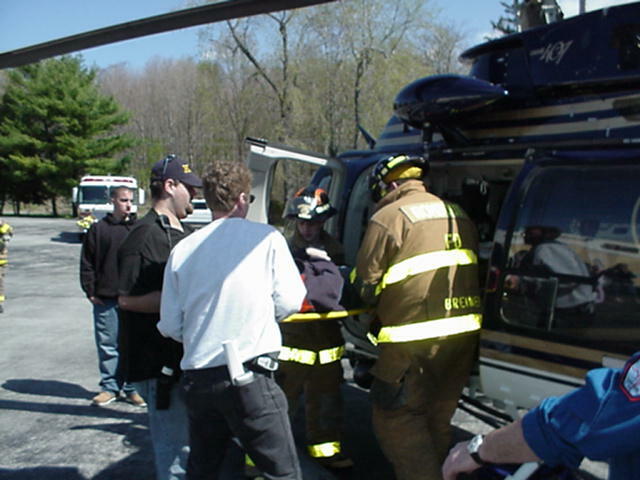 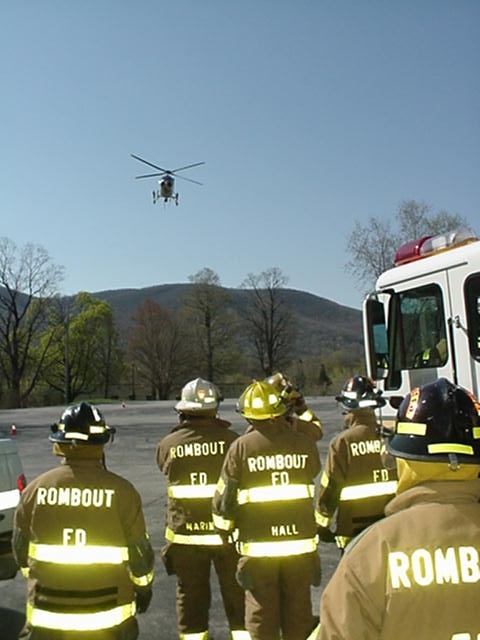 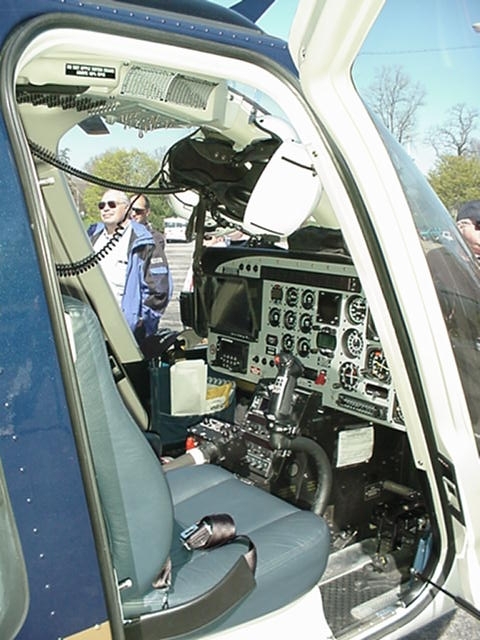 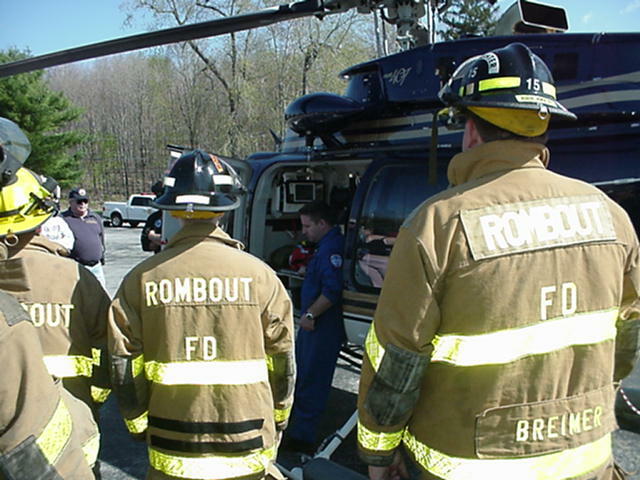 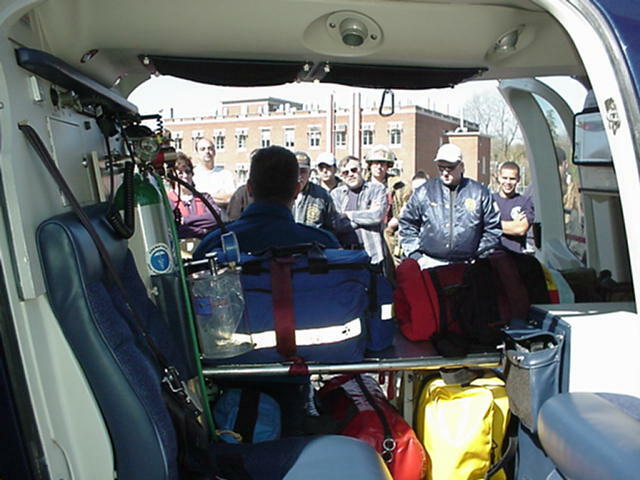 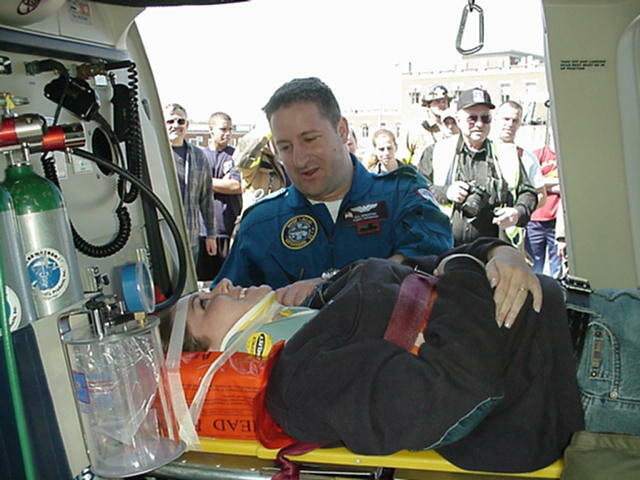 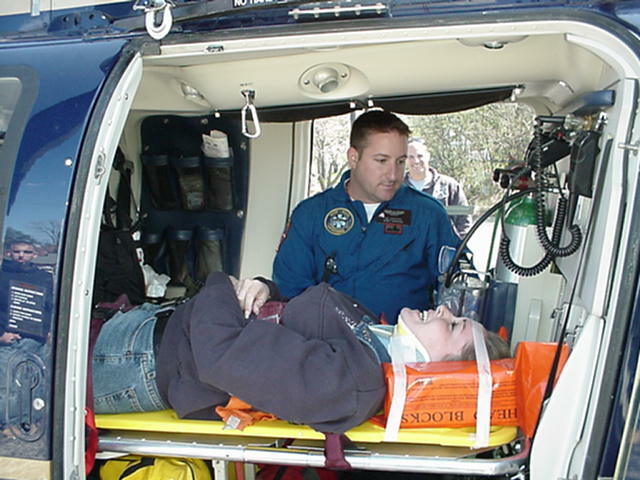 On Saturday, April 24th, 2004, Rombout held a training session with the New York State Police and their Medi-Vac helicopter. 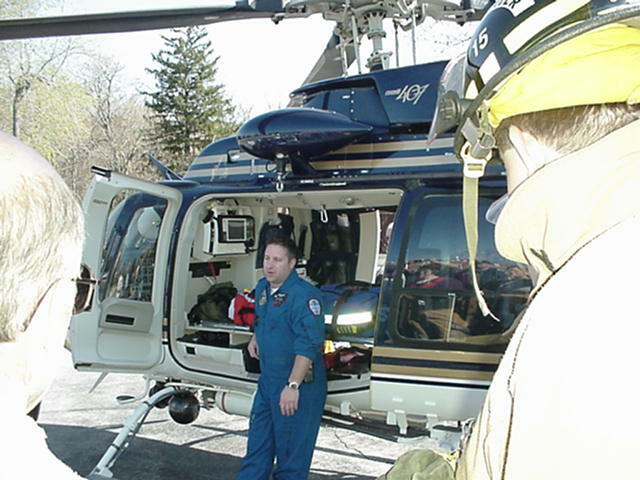 The Helicopter is staffed by Paramedics from Mobile Life. 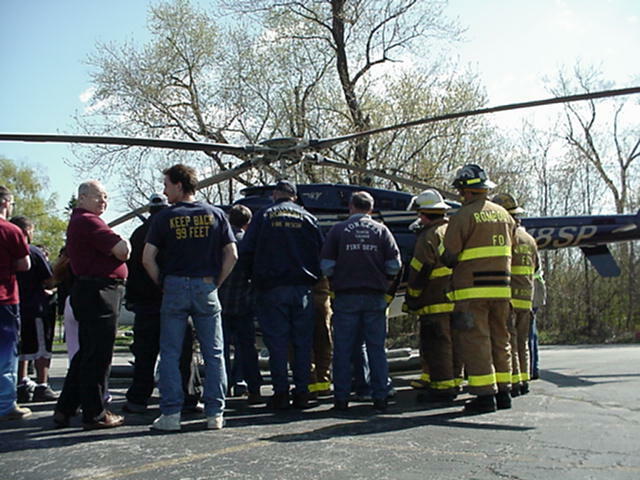 The Drill was to go over Landing Zone procedures, and when to call, or not to call for a Medi-Vac helicopter . 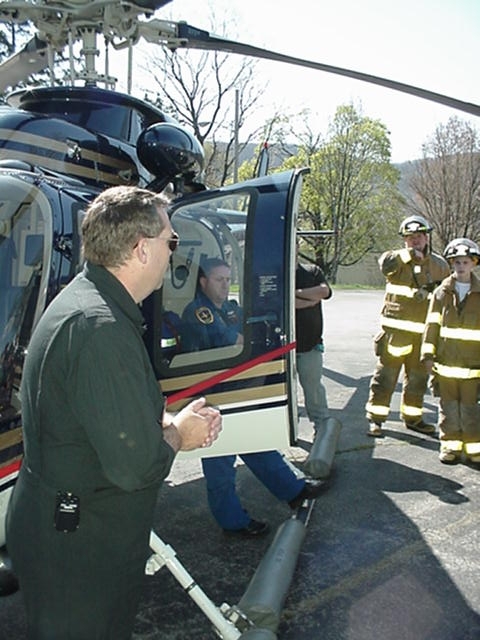 Also taking part in the training session were the Glenham, Chelsea, and Village of Fishkill Fire Departments.